Waterfront Villa w/Boat Dock, Hot Tub & Pool Table: This vacation villa features spectacular water and mountain views. Occupancy (10) 3 Bedroom, 2.5 Bath – 2300 square foot house offers plenty of room for your friends and family. Your private boat dock with waterway access to beautiful Lake Tahoe, swimming and fishing is in your backyard. Enjoy your evenings under the stars around the outdoor fire pit or in your private hot tub. A pool table will provide you and your family with additional entertainment. On Site Parking- (4) 1-2 in the garage, 2 on the driveway. You will also have access to the Tahoe Keys resort amenities including: indoor/outdoor pools, tennis courts, basketball courts, playground, and private beach. This property is located near hiking/biking trails, beaches, ski resorts, shopping, casinos, entertainment and restaurants. 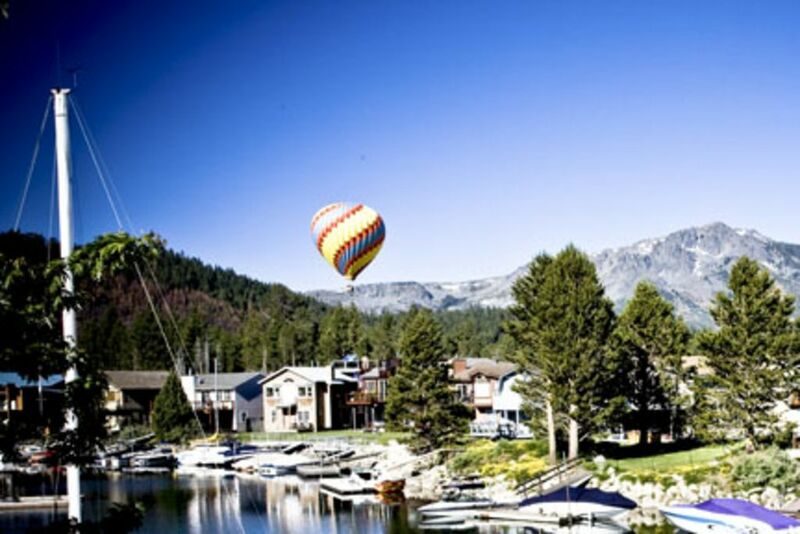 Tahoe Keys Area Information: The Tahoe Keys Resort is located in South Lake Tahoe, CA. This is an exclusive waterfront community with an extensive waterway system that provides direct access to Lake Tahoe. Many of the homes in this community have private boat docks. Tahoe Keys Resort amenities include an indoor swimming pool, a seasonal outdoor pool, hot tubs, tennis / basketball / volleyball Courts, playground, and a private beach with picnic tables & BBQ pits. The Tahoe Keys Marina is located in the Tahoe Keys Resort Area and provides boat launching facilities and boat / watercraft rentals. Rates are higher and minimum of nights are more during the Holidays and Celerbrity Golf week. Please call or email for accurate rates and nightly minimum. Great time at the keys! The home was even nicer than the pictures. It was very clean....had all the extra's that one needs to make a great trip. Laurie was great to work with and quick to respond. We had a great family trip.....stayed there with 4 kids/4 adults and had plenty of room. This house had everything you need! We loved the hot tub, fire pit, & pool table. Beautiful views. Sleeps 6 adults comfortably. 8 might be okay but not 10. Sleeping 10 would only be if you had little kids. Wonderful house! House on the lake was just what we needed! House was in a great location, we didn't mind it was in the back of the keys, it was a nice little cruise to the lake every morning and evening from playing on the lake every day. The house was set up exactly as anyone ready to BBQ and relax after a good day on the water. This definitely a go back to place on our next visit. Thanks Laurie for all the help and your beautiful home. We enjoyed ourselves very much during our two week stay. Our impression of the property was favorable. The house was clean and presentable. The only comments I would make are the kitchen utensils, serving bowls, etc are few. The coffee maker is very old and can be updated. Some of the utensils in the drawer we're not clean and had dried food on them so I re-washed them. Everything else seemed to work fine. This rental house was clean and very nice. The master bedroom was very spacious and the other rooms were perfect. The living room/dining room area is very spacious and easily accommodated our group of six. The backyard with the private dock was a huge plus! 5 Stars, great location in the keys! We absolutely loved staying there and I envision us staying again the next time we plan a trip to Tahoe. Our kids had a fantastic time. The location is fantastic and the house is very nice.